I have read a statement running round on social media which has been attributed to Prof. John Gatsi during a UCC Round Table Discussion on the Exchange Rate on 4th April 2019, and I find the statement is little erroneous and problematic from an economic theoretical point of view. The statement attributed to Prof. Gatsi is; "Also the development of depreciation and appreciation of the cedi must mimic inflation but that is not the situation in Ghana. There is, therefore, the need to question the data". I will assume the above statement was the exact made by Prof. John Gatsi since he has not issued any statement to deny ownership. I find his statement erroneous and problematic because of my reasons below. Inflation has many definitions, but according to Investopedia, it is defined as a quantitative measure of the rate at which the average price level of a basket of selected goods and services in an economy increases over a period of time, it is also the constant rise in the general level of prices where a unit of currency buys less than it did in prior periods. Moreover, according to Wikipedia, it is a sustained increase in the general price level of goods and services in an economy over a period of time. Furthermore, according to Investopedia, an exchange rate is the value of one nation's currency versus the currency of another nation. Factors which cause inflation are plenty, and never monopolistic, meaning an increase or decrease in inflation rate is not dependent on a single factor. 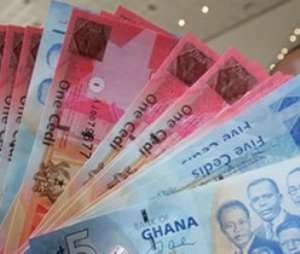 They are in fact plenty, and some of them are; cost of production, demand of a commodity, amount of money in circulation and others, of which the depreciation and appreciation (exchange rate) of a given currency is inclusive especially when the country is an import economy like that of Ghana. Furthermore, let it be noted that, with all the factors that cause inflation, each of them respectively can significantly influence an increase or decrease in an inflation rate depending on their respective behaviors, and level of impact of such behavior. This simple rule therefore entirely proves wrong the statement by Prof. John Gatsi that; "the development of depreciation and appreciation of the cedi must mimic inflation, therefore there is the need to question the data in Ghana". Because centering my analysis in Ghana so as to suit the location chosen by Prof. Gatsi for his analysis, despite the rates of depreciation between 2017 and 2019 have been the best since 2013, the percentage of depreciation between 2017 and 2019 has still been significant enough to cause an increase in inflation though, but note, since the exchange rate is not the only factor which influences inflation, and since there are other factors like taxes in the areas of business, water/electricity tariffs, cost of agricultural products, cost of basic/JHS/SHS/postgraduate medical training education, cost of application/payment for services and others which can also cause inflation recording huge percentage decrease as compared to the percentage of the cedi depreciation and other inflationary factors of its like which have been increased, the should have been effect on the inflation rate by the inflationary factors which have increased has been absorbed by the inflationary factors which have decreased due to their respective percentage of reduction being far higher than their respective percentage in increment, and has as a result been the reason why the country has recorded the decrease, and not the increase in inflation rates from around 15.4% in December 2016 to around 9.1% in January, 2019. With this analysis, I believe there is no need to question the data of Ghana anymore as suggested by Prof. Gatsi, but rather there is the need to question the economic analysis of Prof. John Gatsi because despite the depreciation of the cedi mimic inflation, the other inflationary factors which have been reduced, and also mimicking inflation have rather absorbed the would have been huge effects of the cedi depreciation on the inflation in Ghana. This author has authored 60 publications on Modern Ghana.